Do you like to travel and see the world? Would you like to help other people discover new countries, languages and cultures. When you start a travel business you will get to help other people with their travel plans, travel at discounted prices and earn a great income. Working as a travel consultant doesn’t necessarily mean that you have to work in an office. In fact, you can start own travel business at home. you do your research before choosing a company to affiliate with. Search for information and reviews, and contact agents currently working with the company. Once you have decided on the right company, you will be able to market yourself as selling their services, and people will trust the name brand that represent. Who Should Start a Travel Business? Travel businesses are ideal for people who are extremely organized and pleasant when dealing with clients. 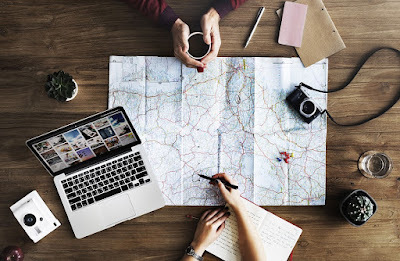 Just remember, that if you start a travel business at home, you will be required to handle customers that are having problems with their travels and need assistance right away. It also helps if you can speak a foreign language, but if you can’t, don’t worry, because you are bound to pick some up after doing a lot of free and reduced price travel. What Are The Benefits of a Travel Business? Travel businesses are a great idea for someone who has a passion to help others see the world and enjoys traveling themselves! How Do I Market My Travel Business? Once you have started your travel business, there are a few things you can do to jumpstart your business. 1. Submit a Press Release online and in your local community announcing your new business and travel services. 2. Become involved in online forums related to the travel industry. Create a signature promoting your travel business and website. 3. Order business cards and leave them in your local restaurants, stores, etc. 4. Join your local Chamber of Commerce and meet local business owners in your area. Only you can decide for sure if a travel business is right for you. But what could be more fun that traveling the world and helping others to do the same?